What we eat affects our whole body, including the uterus and the level of hormones. If you are facing difficulties in getting pregnant, it is an indication of some imbalance in your body. Discussed below are few foods that helps to get pregnant by promoting fertility and balancing hormone level. Green leafy vegetables- Kale, broccoli, spinach, lettuce leaves are a good source of folate and vitamin B complex. Eating green leafy vegetables improve ovulation. Even ask your partner to consume green leafy vegetables to increase the sperm count. 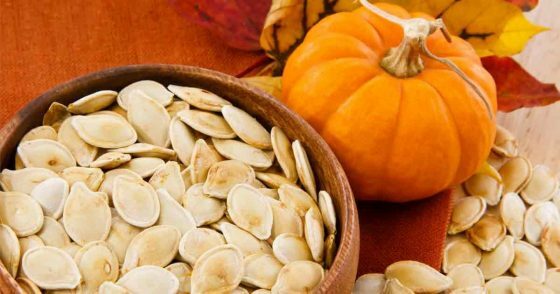 Pumpkin seeds – They are rich in non-heme iron. Women taking iron supplements or foods rich in iron face less trouble in getting pregnant. You may roast the pumpkin seeds before having them. Maca roots- It has the property to balance the levels of female hormones. It promotes vitality and fertility. It is also rich in iron. Take half teaspoon of maca powder and add it to 1 cup of water. Mix properly and drink this preparation once a day. Although it is totally safe still, I will suggest consulting your doctor before taking this herb. Olive oil- If you are planning to get pregnant, then switch on to olive oil. It contains monounsaturated fats that increase the sensitivity of insulin. Also, it is anti-inflammatory and wards off, any kind of inflammation that is interfering with ovulation, conception, and development of an embryo. Dates- Dates are one of the best foods that helps you to get pregnant. They are rich in vitamin and iron. Remember to have them for the first 15 days of your menstrual cycle before ovulation. 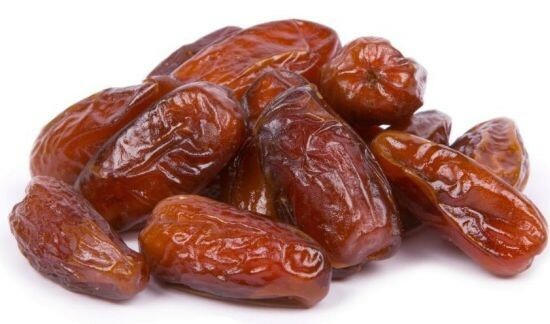 Eat 10 to 12 dates daily without seeds. Coriander roots- Take 4 teaspoon coriander roots and 10 dates. Grind coriander roots and dates and make a paste. Add a cup of milk to this paste and let it boil. Drink this concoction once a day for a week starting from the last day of your periods. Flax seeds– Flax seeds contain Lignans, It is a plant estrogen. Consuming flax seeds balances the female hormone level and regulated periods. Take 2 to 4 teaspoons of flaxseed with water daily for a week starting from the last day of periods. Pomegranate- By enhancing the flow of blood to the uterus pomegranate promotes fertility. It is considered one of the wonder foods that helps to get pregnant. Take seeds and bark of pomegranate and grind them to make a fine powder. Take half teaspoon of this powder daily with water 2 times a day. You may also drink the fresh juice of pomegranate daily. 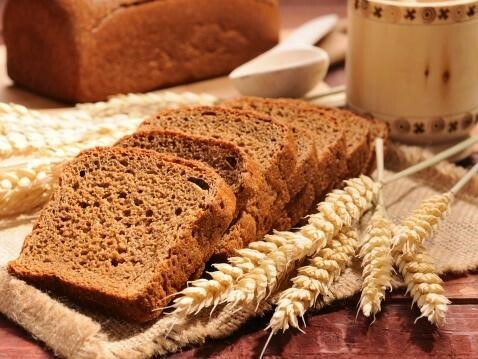 Whole grains– Skip to complex carbohydrate foods such as brown rice, whole wheat bread, and whole wheat pasta. This will balance the insulin level. Wild yam- It is considered as one of the magical foods that helps to get pregnant. It promotes the progesterone production, ovulation, and fertility chances. It is better if you consume them from the 9th day to 14 days of your cycle. Besides above foods that helps to get pregnant eat beans, tofu, lentils and nuts as they are rich in protein. Also, include salmon and other sources of omega-3 fatty acids to your diet.